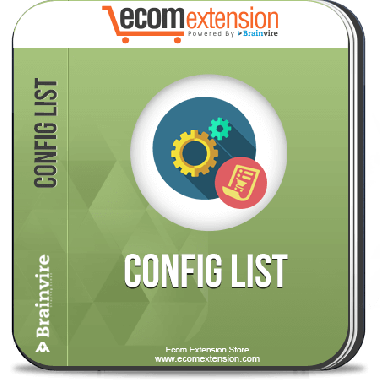 Brainvire Config List extension for Magento lets you select the attributes of the configurable products and then add them to cart from the list page itself. Who doesn’t like saving time? Everyone is fond of speedy websites. Customers get happy, if their buying process gets shortened. The lesser the number of steps in the buying process, the more number of customers it will attract. Brainvire Config List extension lets you fasten up your buying process. Brainvire Config List extension for Magento can let you choose the values of the attributes of the configurable products on the list page of the products itself. Usually, if you want purchase a product from any online store, you have to click on the product on the list page. Only when you go to the view page, it lets you select the values of the attributes and then lets you to add it to cart. For example: If you want to buy shoes, you might need to select values form the dropdown for the attributes like color and size, once you select the product. Normally, eCommerce sites allow you to do this on the view page. However, using this extension, customers can select the values of the attributes configurable products from the list page and add it to cart to save time. This extension is for the configurable products. Makes the purchase of the configurable products easier. Reduces one step in buying process, thus saving time. Lets customer select values for the attributes of configurable products on the list page itself. Customers can add to cart from the list page. The extension is easy to understand, install and use. It is 100 % open source.